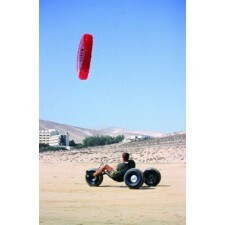 Icaro 2000 is acompany committed to ongoing product research and development. For this reason, following requests by many pilots and dealers for a full-face Microlight helmet with built-in headsets, offering excellent vision and a high level of safety. Even though its volume is appreciable, this helmet is visually lightened by an exciting design that minimizes the lateral projections, inside which are the best Peltor Optime III earphones. 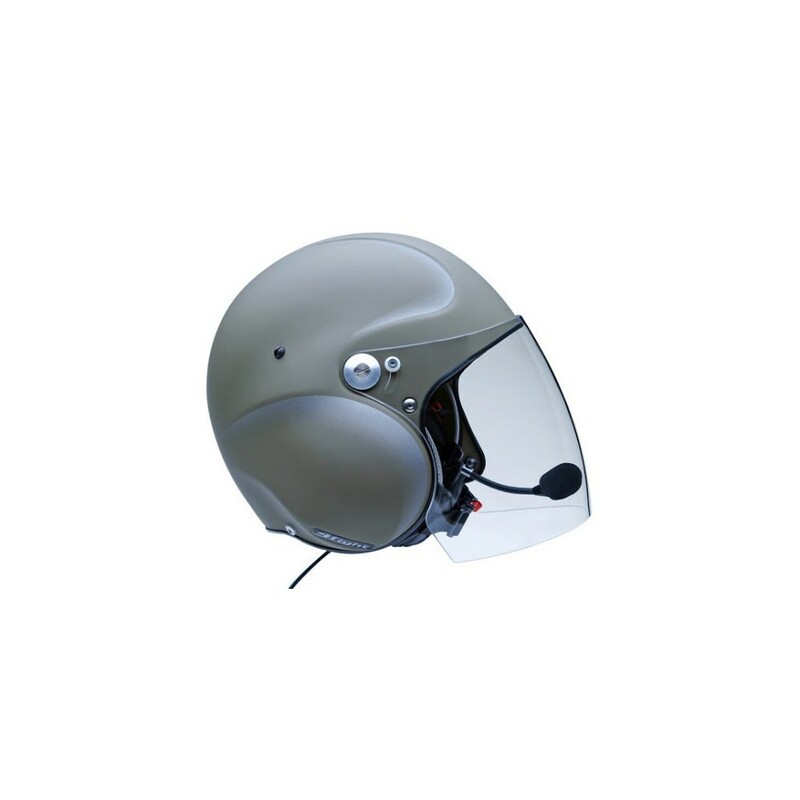 Omega2, a helmet built using the same technology as in military applications, including high-modulus glass fibre and high-density polystyrol to guarantee the highest possible standards of safety. 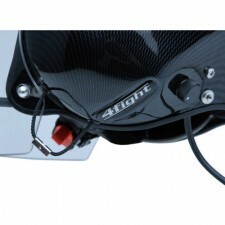 The long visor gives you great visibility both open and closed. It can be easily locked onto the shell, thus avoiding that it opens at high velocities. 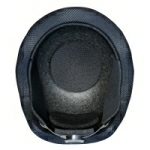 The visor is equally easily unlocked and raised with one hand. 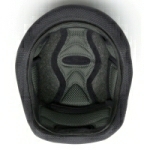 Moreover the strong visor helps to protect the face like an integral helmet. Rozmiar kasku określa się zawsze wewnętrzą średnicą wyściółki. Tak więc ilość centrymetrów odpowiada obwodowi głowy w centrymetrach. The “Float Fit” earphone suspension allows the earcups to settle perfectly over your ears. Float Fit also allows you to easily adjust the earphone pressure on your ears for best quiet and comfort, whatever your head size, simply turning the two screws on the inside of the helmet. 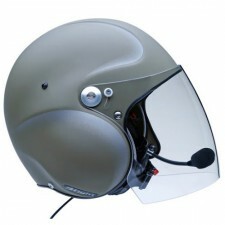 The “Don Loop” donning loops make for effortless donning of the helmet with the earphones perfectly placed automatically. 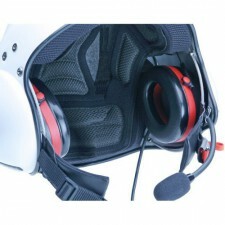 The donning loops on the two sides of the helmet are linked to the earphones. 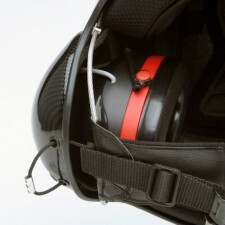 When putting on the helmet, these loops can be used to pull the earphones outwards, away from the ears, which makes it easier to lower the helmet into the final position. When the loops are released, the earphones return to their correct position on the ears. The Omega 2 has been tested by the italian laboratory Newton and recognized and certified by the TUV Rheinland.